_ Leave the premises in good condition. If tenant does not move out on or before the cancellation date stated in the notice, and/or prior to move-out pay ______ months' rent as stated above, then the landlord can choose to allow the notice to lapse and become ineffective to terminate the lease agreement and the tenant shall be responsible for all rent lost, as well as any other lawful charges resulting from breaking the lease, including attorney’s fees, in accordance with the lease agreement previously executed. 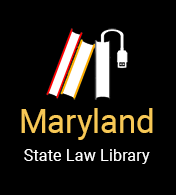 The landlord remains responsible for mitigating damages under Maryland law. If there is no damage or unpaid rent, the tenant's security deposit will be returned as required by Maryland Law. But if the tenant does not move out on or before the cancellation date stated in the written notice, then the landlord can choose to allow the notice to lapse and become ineffective to so terminate this lease agreement, and the tenant shall be responsible for all damages as set forth in the lease including but not limited to rent loss, and any other expenses resulting from the breaking of the lease, as well as attorney’s fees.